It’s been one year since Cory Monteith passed away from a drug overdose in Vancouver, but his loved ones are still suffering. 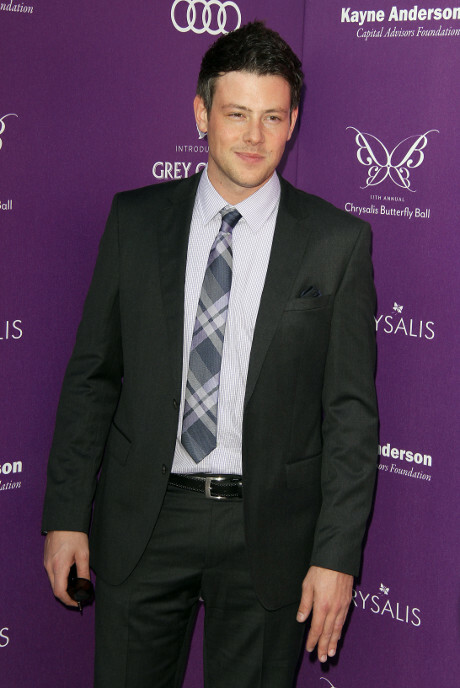 Cory’s father, Joe Monteith, opens up about his son’s death on the one year anniversary of the tragedy. Joe and Cory were finally getting back on decent terms after years of estrangement, but their reconciliation was cut short by Cory’s death. Since Joe wasn’t close to Cory’s mother or any of his family, he wasn’t invited to the funeral. While that has to hurt, Joe really should think twice before giving interviews on the subject of his son’s death. Understandably, he wants to open up about the tragedy and air his grief in the open, but it might not endear him to his family. Cory’s mother, siblings, and extended family members have all been staying silent on the subject. Lea Michele has been one of the few to discuss Cory’s death in public, but it makes sense because she’s also a public figure. Joe, on the other hand, has no connection to the media apart from his son. Either way, it’s hard to criticize the man when he’s clearly going through a lot of pain. No parent should ever have to outlive their child, especially not when their child dies in such a tragic and unforeseen way. Where Was Lea Michele When Cory Monteith Died – Why Wasn’t She With Him? Cory Monteith Death Does Not Mean Glee Will End — The Show Must Go On! Did Cory Monteith and Lea Michele Split Up Before His Death?